In Honduras, the Micah Project staff is made up of dedicated Hondurans as well as foreign missionaries from the United States. All love bringing Christ into the boys' lives to allow Him to do miraculous transformation. A small staff in the United States provides financial and administrative support. We invite you to meet some of them. 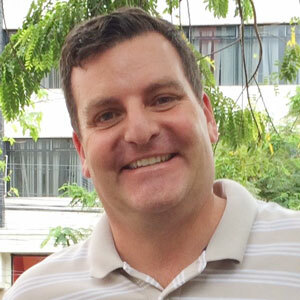 Michael first came to Honduras to work with street kids in 1993 on a six-month internship through Wheaton College’s International Studies Program (HNGR). In 1998, he moved back to make this work his life’s calling. While aiding in the reconstruction effort after Hurricane Mitch ravished Honduras in October 1998, Michael began to develop a vision for the Micah Project, which opened its doors in January 2000. Michael has been executive director and group home dad at the Micah Project ever since! Stephen Kusmer joined the Micah Project in 2011 after graduating from Wheaton College in May with a degree in Applied Health Sciences. He is originally from South Bend, Indiana. Stephen has a great heart for missions and languages and has travelled to many countries to serve with different organizations. As the coordinator of our street ministry Stephen found no organization was supporting the needs of older teen boys and young men that wanted to leave streets, trapping them in a cycle of addiction and hopelessness. Convicted that God wanted Micah to serve that population he used the old Micah House as a place for day programs for a small group in 2014 and early 2015. Plans then were made to open the Isaiah House in that location and in August 2015 the first residents moved in. Support Stephen. 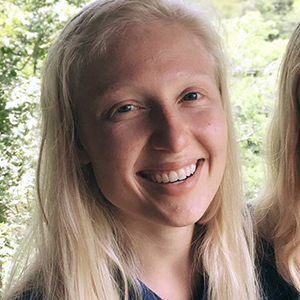 Kelsey joined Micah as a missionary in October 2014 after having first visited the project in April with a team from First Presbyterian Church in Houston. She had just completed a year in FPC's Discipleship house and came ready to share her love and enthusiasm with our boys. 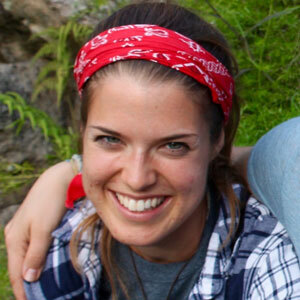 Kelsey has worn many hats in the past, including actress, Young Life leader and camp counselor. And, as many of us do, we know she will wear many hats at Micah as well, including caregiver, mentor and much more. It is a joy to have her here with us. Support Kelsey. Lucy Wynn has been a member of the Micah Family for many years and served as our summer intern during her time in college. After graduating in May 2016, she moved here the following September to help out with our communications and serve as a caregiver to the boys in the Micah House. Support Lucy. 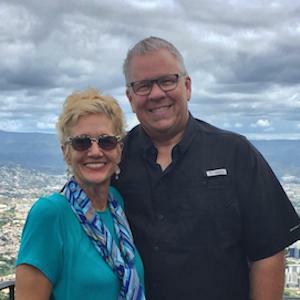 Coming to Honduras from Destin, Florida, in 2007, the Corleys chose to forgo retirement and follow after God’s heart in loving the street-connected youth of Tegucigalpa. After working with another ministry since 2009, Pat and Michelle joined the Micah Project in April 2018. Their educational background includes degrees in business and Christian counseling. Michelle is passionate about discipleship, child development and staff-care. Pat’s background as an entrepreneur and business-owner gives him expertise and a God-given passion to facilitate a new component of the Micah Project, “Micah Works.” Support the Corleys. Roger has been a part of Micah since the very beginning. 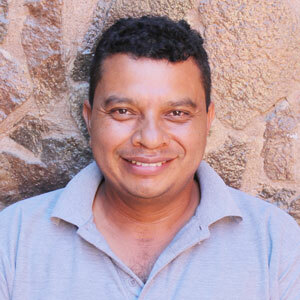 He is Honduran and we consider him a missionary in his own country. He has been a leader and role model to these boys for many years. Recently he has migrated into a new position as the weekend guy, taking care of the boys and organizing their plans three weekends out of every month. Although his job only requires him to be here Saturday and Sunday, you can often find him at Micah during the week because he enjoys being a constant presence in the boys' lives. Aida Martinez came to the Micah Project in May 2000, after working for twelve years in another program for street children in Tegucigalpa. Aida takes care of the weekday meals for the Micah Project, and also manages the food for our groups and for special events. The boys often call her “Mama Aida”, which indicates that she is much more than just a cook. 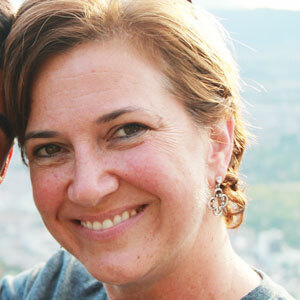 Ana has worked with the Micah Project since 2001. She helps keep the Micah House running, which includes our weekly grocery purchases, helping in the kitchen (especially when we have groups) and organizing the daily laundry and housecleaning. Marlon and Nohemi Castellanos joined the Micah Project in February of 2006 as the Timothy coordinators. They have two daughters, Elizabeth and Abigail. 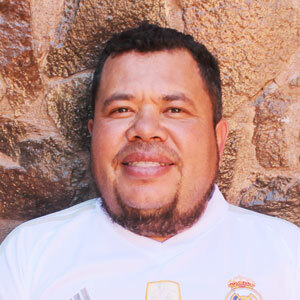 Marlon’s main role is the legal coordinator of the ministry, making sure that our permits are current with the Honduran government, as well as helping with everything from residency for missionary staff to the boys’ national paperwork. He also works in hiring of staff and coordinating professional development. 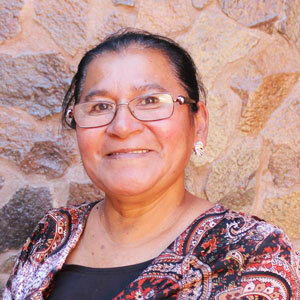 Nohemi also teaches in our educational program. 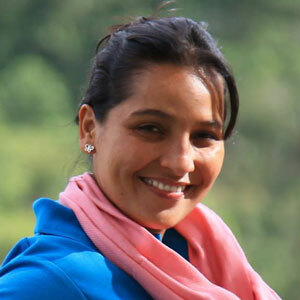 After years as a wonderful teacher in our educational program and three years coordinating the Micah boys' homeschool education program, Paty Pavon took the position of Micah House Coordinator. She works so hard to make sure things in the Micah house are running smoothly, giving each boy and young man the unique attention he deserves. She graduated from a local university in 2010 with a degree in education. We have known her family since 1998, when they lost their home in Hurricane Mitch. 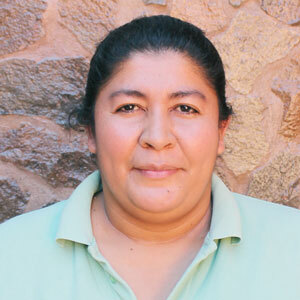 She currently lives with her mom, Flora, in the Villa Linda Miller community. She is also a foster mom to a 3-year-old girl. 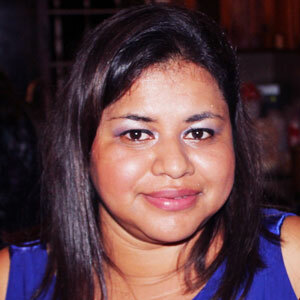 Wendy Varela is a part-time teacher teaching high school language arts and humanities in our education program. She also uses her college degree (in counseling) by helping to connect our young men to psychological and psychiatric services when needed. Wendy is married to a long-time Micah friend, Marcos Herman (Ana and Nohemi’s brother!) and they have three young children. Wendy also serves as the family help coordinator and social worker for the ministry. 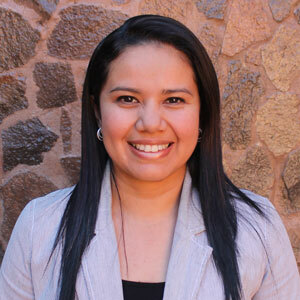 Gaby joined the Micah team in 2012 following her graduation with a degree in accounting. She has been a tremendous help as she has put order to the monthly accounting as well as managing the cash and receipts coming in and out each day. Gaby has also done a lot of work with the finances of Micah 2.0. 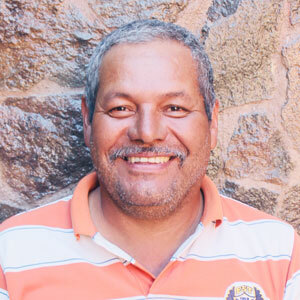 Franklyn is from Villa Linda Miller, and has worked as the go-to maintenance man at Micah for years. Since Micah Tech began, he was trained by Brian Wiggs to run the daily carpentry and welding programs, as well as the discipleship aspect of the technical school. 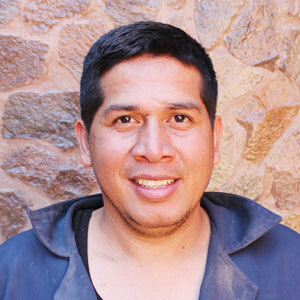 Eduardo lives in the Villa Linda Miller community adjacent to Micah 2.0. He was a key player in the construction of Micah 2.0 and is now working as a teacher in our technical school. He loves spending time with the guys and is a positive role model in their lives. We originally hired Douglas to help us shuttle some of our older boys back and forth from the local high school they were attending, but we soon discovered he would be handy in many more ways. He helps us stay on top of maintenance of all of the project's vehicles and continues to be our go-to guy for all of our transportation needs, from taking the boys to dentist appointments and soccer practice to helping Aida tote back a week's worth of food from the grocery store. Tina is originally from New Orleans and graduated from Tulane University with a Bachelor of Science in Management. She first came to know the Micah Project on a vision trip in 2008. She instantly fell in love with the boys and the amazing work that Michael and the rest of the Micah staff had done and wanted to be a part of helping in anyway she could. She came back to Houston and got to work organizing a fundraising golf tournament. This year will mark the fifth year for this fundraiser. In 2010, after deciding to retire from her position as Chief Accounting Officer of a Houston-based oil company in order to focus on the much tougher job of raising her two children, Tina joined the Micah USA staff as Chief Financial Officer. John and Rebecca Bell are a couple with a true calling for missions, which is lived out daily in the passionate and wisdom-filled way in which they minister. Becca graduated from Malone College in Ohio in 2000, and then from Wheaton College in December 2001 with an MA in Intercultural Studies. In March 2004 she joined the staff of our ministry after spending time training and working in group homes for street boys in both Mozambique and Brazil in the previous two years. John Bell married Rebecca in December of 2008 (they had met in Wheaton eight years prior!). After graduating from Wheaton College, John worked in Mexico as a missionary, first with CFCI and then with Instituto CanZion. 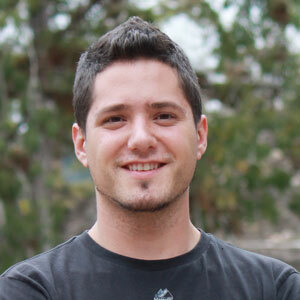 John has an MA in Christian Studies from Denver Seminary, and is currently working on an MA in clinical and mental health at Richmont Graduate University in Marietta, GA. 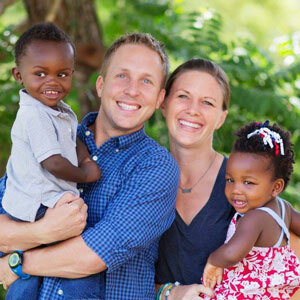 They are currently living south of Atlanta with their two children, and serving in the missionary role of US Directors of Development of the Micah Project. Support the Bells.